Around lunch time on Thursday the phone rang. Paul, VK5PAS, had taken delivery of two radios: a new Yaesu 857D and a pre-loved Yaesu 897D (purchased at our radio club’s silent auction) and he was keen to try them out given his forthcoming interstate visit to Victoria and New South Wales. Paul and Marija have lots of portable activity proposed. 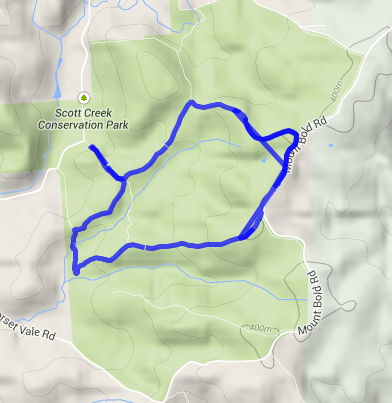 Paul invited me to come with him to Scott Creek Conservation Park, very close to my home, to put the radios through their paces. I met Paul at the park about 25 minutes later. He had just arrived at Gate 8 when I arrived. Now I would like to correct the impression given by Paul on air that he had to twist my arm and almost wrestle me to come! Rather, I jumped at the chance! 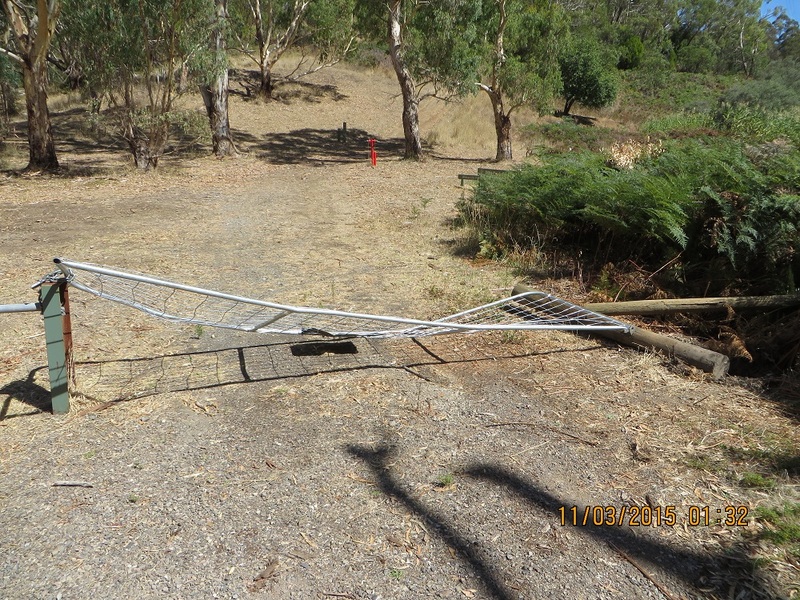 Some of you will know I have been out of action for the last three months and, other than one failed attempt to activate the Ikara-Flinders Ranges National Park in late September and early October, I have not been active. I just didn’t have the energy. However, I am getting stronger every day and feel considerably more like getting back to my usual activities and the weather was good. It was lightly overcast and potentially warm and as the afternoon passed we moved into the shade and it was really very pleasant in the park. Paul and I have activated this park together on previous occasions and I took a group to the Park as part of WIA AGM Radio is Magic events on the Sunday morning late May (see below). On Sunday morning 5th November I decided to pay a visit to the Friends Bird-banding Group. The first photo shows a Golden Whistler, the photo below on the left is of a Yellow Faced Honeyeater and on the right a Horsfield Cuckoo. These birds are caught in a net measured and released. 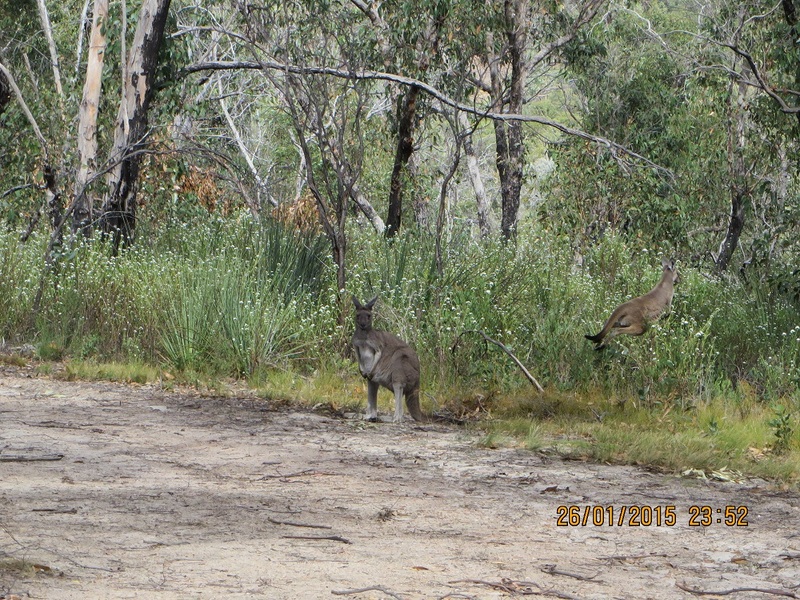 The data is forwarded to Canberra where it is available to researchers. We commenced operations on 7.139 MHz after looking around the band a bit higher to see if we could hear any other stations nearby. VK2JNG/P, Gerard was on air but we could not hear him. We later worked him P2P on two bands. 0309 VK7MPR Mark with his new upgraded call-sign: the F has gone. Congratulations! 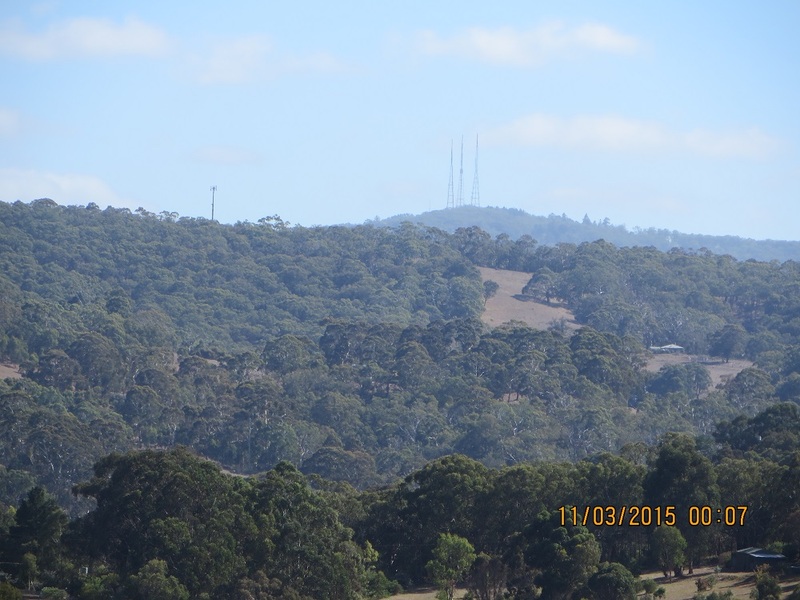 0428 VK5BW 3.610 MHz 59 59 Barry at Bridgewater on 80 metres: less than 10 kilometres from us. 0446 VK5FANA We were disappointed with just three contacts on 80 metres. We learned that the usual operators on this band were otherwise occupied during the afternoon. 0512 VK4HNS We then moved to 14.183 and listened to the ANZA net and at the appropriate break in the proceedings Paul booked both of us into the net. The net controller was Col, VK4CC who, with his usual style, was a splendid net controller. As the afternoon moved on we were invited to make three calls each. We had a most enjoyable day. Three contacts were made on 80 metres, 14 on 20 metres including three Pacific Island Nation DX stations and 34 on 40 metres. Five Park to Park contacts on a weekday were a bonus! The way we shared the station was that the person with the microphone called CQ, QRZ or answered a caller and then the second operator took over and followed the same procedure. Our logs are almost but not quite identical. The times and order of stations will differ because of our approach to sharing. I did not complete an entry for this activation as I became unwell soon after the AGM. However, although not many contacts were made it was an important event because a number of local amateurs were hosts to visitors interested in learning more about portable operations and techniques. In my case, I had three amateurs who wanted to come to Scott Creek Conservation Park for the opportunity of learning and getting on air. We met at Gate 8 at about 0900 local time. 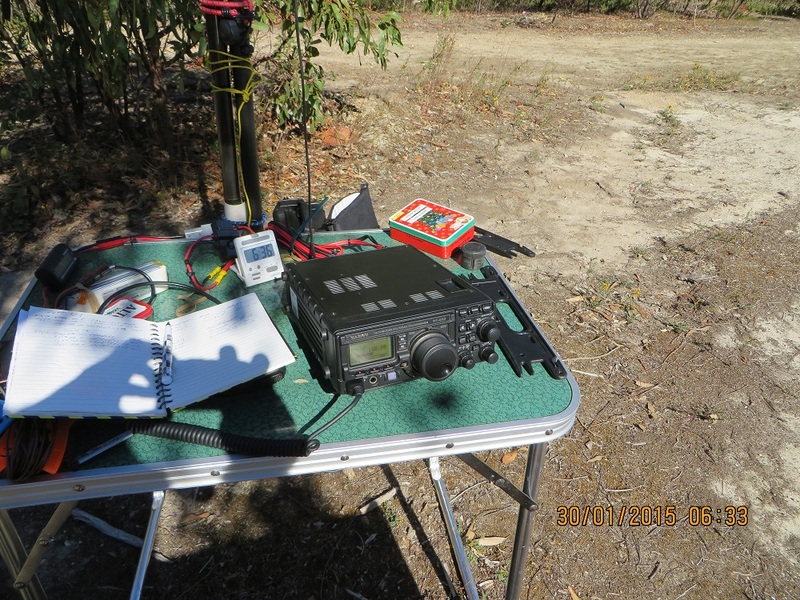 Each of my visitors, all amateurs, made contacts on HF on the 40 metre band and on VHF on two metres with VK5PAS/P, Paul and his crew at Mark Oliphant Conservation Park, about five kilometres away. We each kept out own log of contacts. I made four contacts on HF. It was a beautiful late Autumn day and my wife dropped off morning tea and some chairs and we socialised as well as discussing appropriate gear for portable operations. It was great! 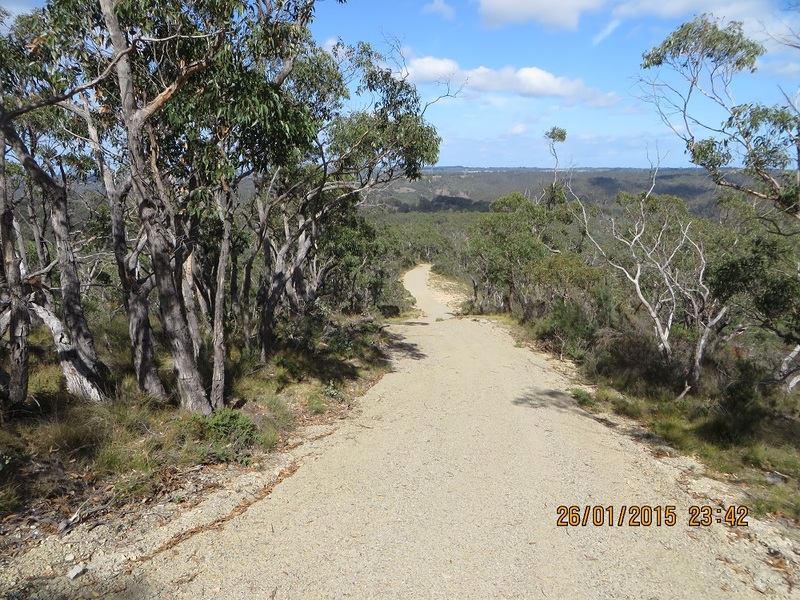 0016 VK1AD/2 7.095 MHz Andrew was in the Kosciusko National Park, VKFF-0269 and on VK2/SM-027 Mt Nungar worth ten SOTA points to a chaser. I thought that this contact was a great start to the morning. Four contacts were made but all great and all Park to Park as well as SOTA in three instances. 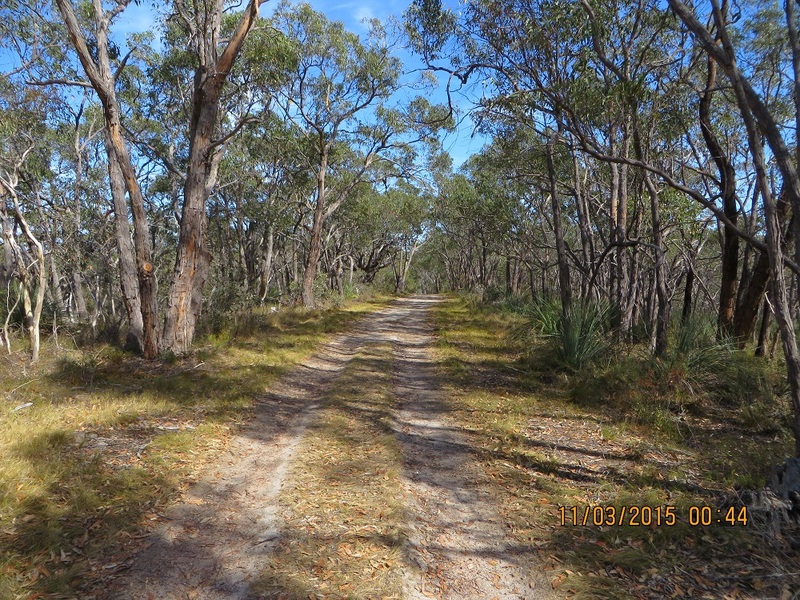 This activation and the one described above (2nd November) make five WWFF activations by me at Scott Creek Conservation Park, the threshold number for the Boomerang Award. Finally, I was pleased to see our South Australian AGM and Convention Organising Group was recognised by the WIA. Here is my certificate. Our group worked for 16 months to ensure a successful WIA and Convention. The Sunday afternoon Radio is Magic demonstrations and field day activities were very popular and lots of positive comments were received. The 4th, 5th and 6th of April were set aside to celebrate the first anniversary of the SANPCPA award. It was a week end of exceptional activity especially on the 40 metre band. There were lots of activators, including some for the first time, and many chasers. 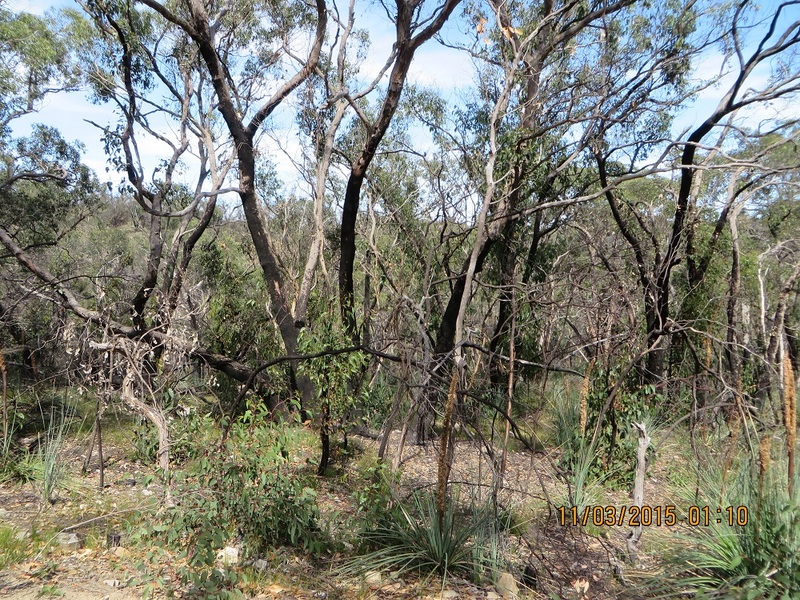 My first contact was with VK5PAS/P5, Paul, who activated the Cox Scrub Conservation Park. I worked Paul from home. 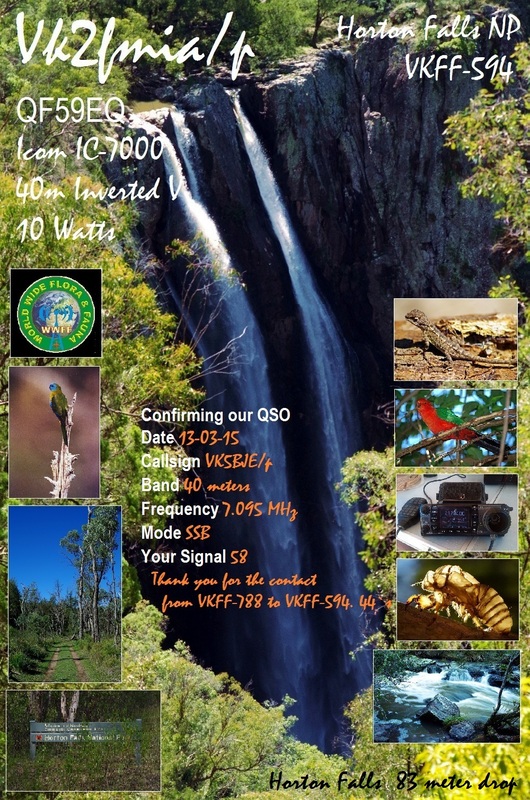 My last contact, from my home station, was on Sunday afternoon at 05:21 with VK5ARG/P5 (Amateur Radio Experimenters Group Inc.) Andrew at Belair National Park, 59 contacts later. These contacts included a number of new parks for me. 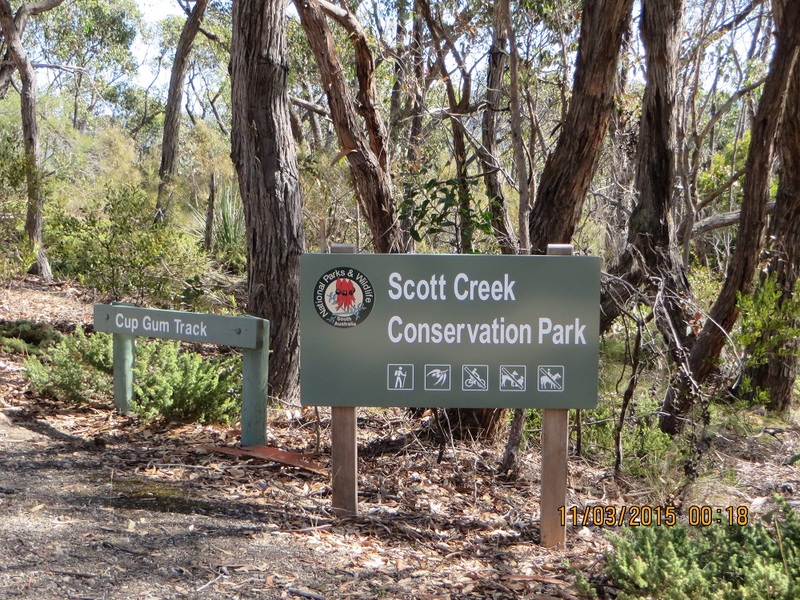 On Sunday morning local time, UTC 22:48 5th April 2014, I went back to Scott Creek Conservation Park, which I last activated on the 19th May 2013. 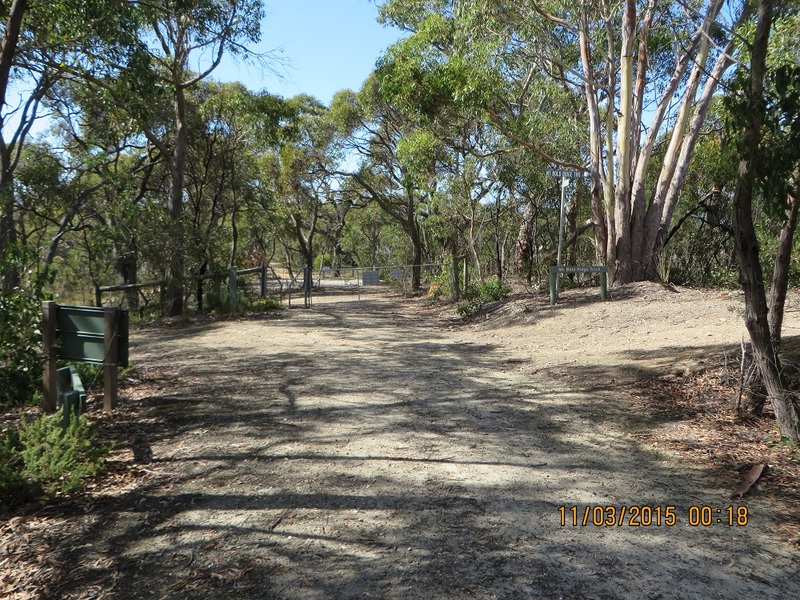 I returned to Gate 8 on Mount Bold Road (See map on Friends of Scott Creek web page – link below). My equipment this time was a home made linked dipole for 20 and 40 metres and the Ten Tec Argonaut V1 (model 539). Power was drawn from a 8.4 amp hour LIfePO4 battery, which was more than adequate for this activation. 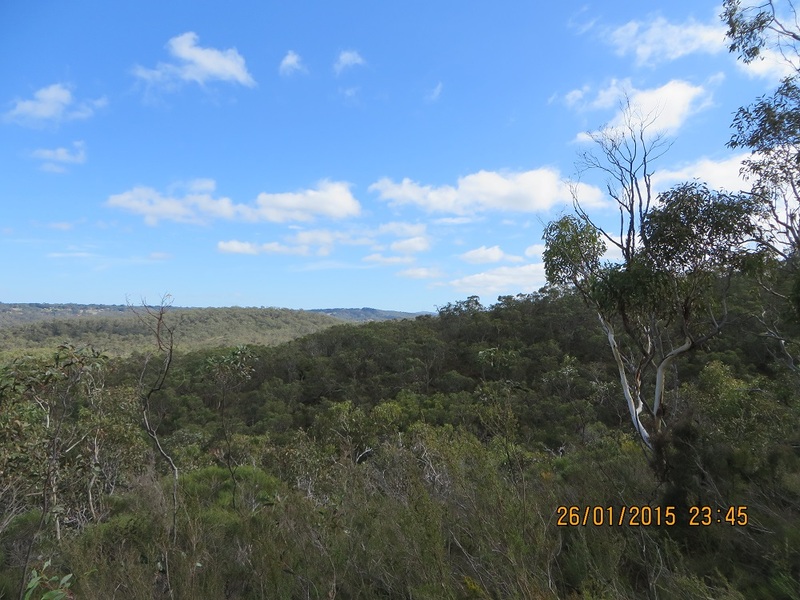 About one hundred metres inside the park there is a plateau which makes a fine activation spot. 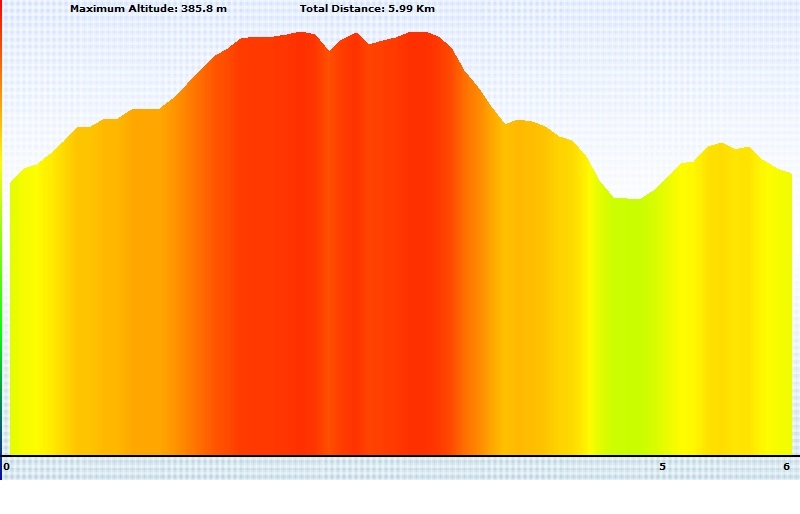 I enjoyed 52 contacts, including a number of new Parks and also with VK3PF/P3, Peter, on VK3 VC 001, Mount Matlock. Here are my contacts: VK5NQP/P5, David at Cromer CP; VK5KET/P5, Andrew at Telford Scrub CP; VK5KC, David; VK5WG, Nev; VK3FQSO, Amanda; VK5GJ, Greg; VK5FMID, Brian; VK5LY/P5, Larry at Lowan CP; VK5PAS/P5, at Deep Creek CP; VK5AV, Tim; VK2AWJ, John; VK5IS, Ian; VK3AMB, Bernard; VK3UBY, Col; VK3CAT, Tony; VK3VIN, Ian; VK4FR/P5, Chris; VK5JP, Peter; VK5KRF/P5, Peter at Winninowie CP; VK5KGP, Graham; VK5KLV/P5, Winninowie CP; VK5DT, Darren; and VK5FTRG/P5, Tom at Furner CP. 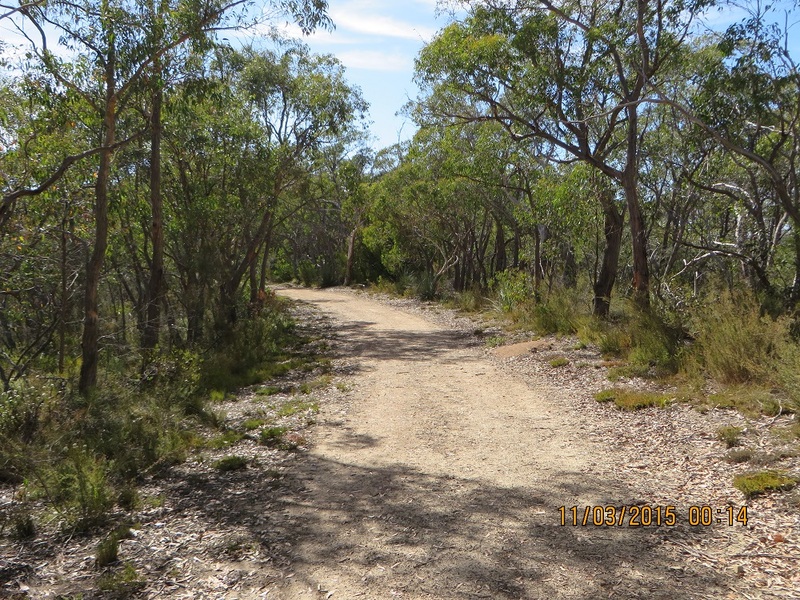 Then after UTC rollover, VK3VTH/P5, Tony at Carpenters Rocks CP; VK5FTRG/P5, Tom at Furner CP; VK5PAS/P5, Paul at Deep Creek CP; VK5ARG/P5, Andy at Horsenell Gully CP; VK5KLV/P5, Les at Winninowie CP; VK3CAT, Tony; VK5VCO/P5. Paul at Clinton CP; VK5KX/P5, Peter; VK5AV, Tom; VK5DJ, John; VK5LY/P5, Larry at Ridley CP; VK5TRM, Rob; VK2UH, Andy; VK5FMID, Brian; VK5NRG, Roy; VK5KET/P5, Andrew at Nene Valley CP; VK5LY/p5, Larry at Ridley CP; VK5NQP/P5, David at Charleston CP; VK5MJP, Patrick; VK5NE, Paul; VK5ZGY/P5, Greg at Naracoorte Caves NP; VK5ZAR/P5, Arno at Black Hill CP; VK3LY/M3, Bill at Yannack; VK3PF/P3, Peter at VK3 VC001, Mt Matlock; VK5MR/P5 Andrew at Tandappa CP; VK5HCF/P5, Col at Hacks Lagoon CP; VK5FTRG/P5, Tom at Reedy Creek CP; VK5PAS/P5, Paul at Eric Bonython CP and VK5STU/P5, Stu at Port Gawler CP. Thanks to all those amateurs who gave me a call. 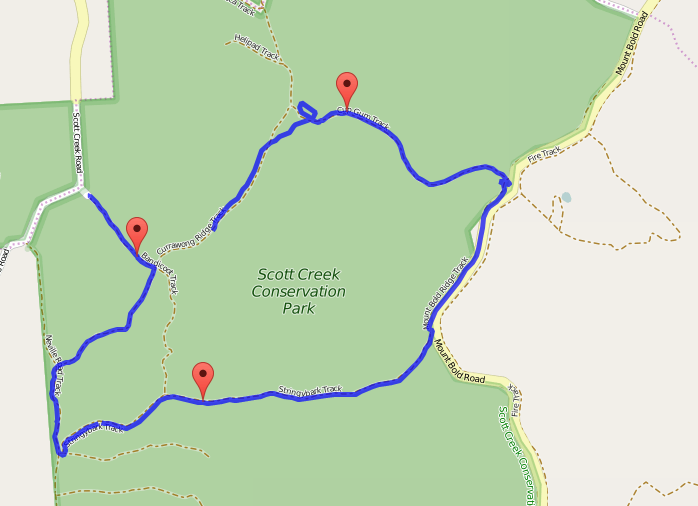 It is greatly appreciated and I didn’t think Scott Creek Conservation Park would be so popular as the park has been activated three times: twice by me and once by VK5PAS, Paul. 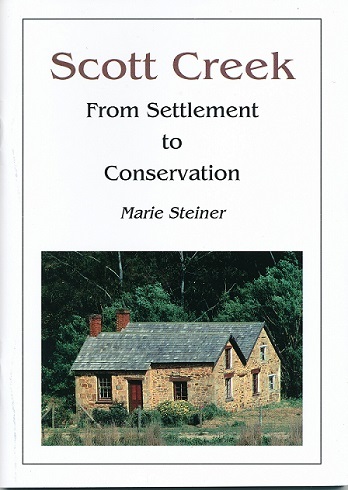 Marie Steiner’s excellent book, published in 2000, contains a wealth of research about the various sections of land which were incorporated into Scott Creek Conservation Park, gazetted in 1985. 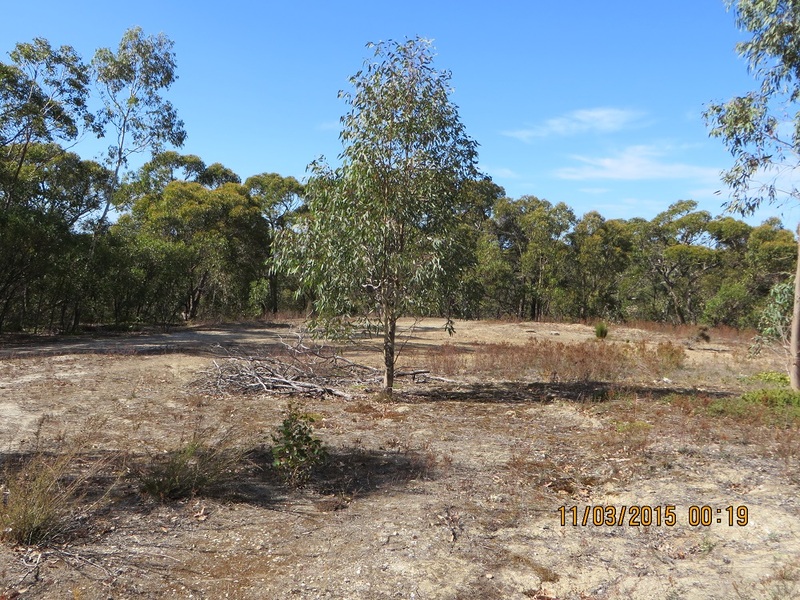 ‘The Land Acquisition Act, passed in 1969′ (Steiner, 2000, p. 7), provided the basis for the State Government to pursue the long-term water needs of the community by purchasing the private land in the area now included in the Park. Not all of the land was in private hands but clearly the majority. Steiner’s (2000) book traces the challenges and hardships of trying to make a living on rocky, steep and, in places, infertile land. 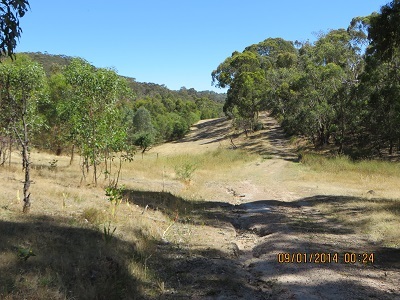 The land was acquired to extend the catchment for the Mount Bold Reservoir, including the size of the dam. The plan was later modified because of unstable geological features which could lead to failure of a larger water holding. 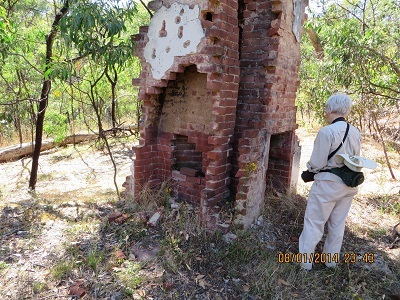 The Twisted Chimney, for example, was on a holding of 17 and a quarter acres, Section 1190. Steiner (2000, p. 53) sketches the history of the occupation of this section and others. Such a long history, of 150 years of human occupation and endeavour, is reflected in the challenges of living in the area and the gaps in knowledge. She asks how could such a large parcel of land with this history, come to be created a conservation park (Steiner, 2000, p. 55)? 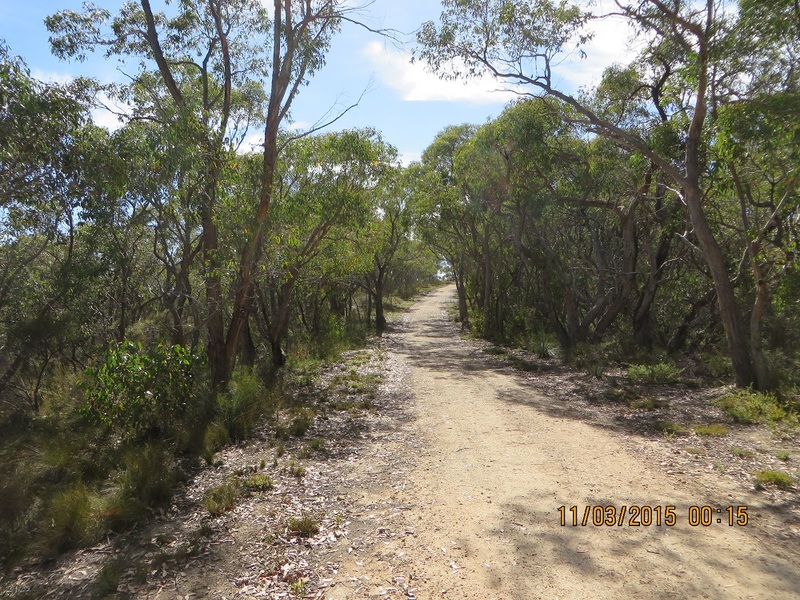 Her answer is that ‘Scott Creek Conservation Park contains some of the most diverse and interesting areas of indigenous vegetation left within the Mount Lofty Ranges’ and that much of it ‘survived the impact of settlement’. 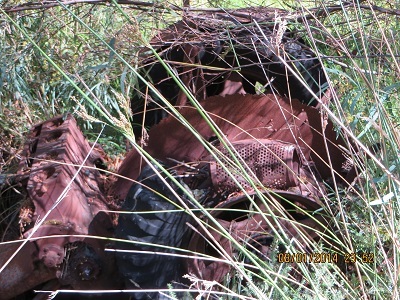 This picture shows the two fire breaks, one each side of the fence, separating the Park from SA Water land.